Ben Lanius has grown HighPoint from a one-man operation to one of Inc. Magazine‘s Top 500 Fastest Growing Private Companies. Today, Ben and his team of more than 350 employees work with government clients to evolve and elevate agencies’ citizen experience and digital initiatives. HighPoint was founded in 2006 with the basic belief that the process and experience between citizens and government agencies can continually be improved. Government agencies quickly recognized the need for HighPoint’s unique model, leading to the company’s exponential growth. As CEO, Ben oversees HighPoint’s operations and corporate development. 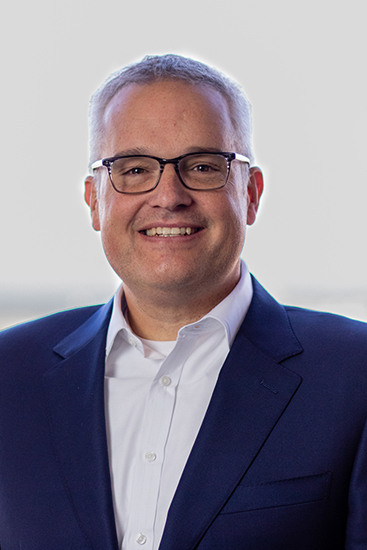 He provides leadership and strategic guidance for HighPoint’s clients during the full lifecycle of their programs—from conception, to implementation, to follow-up. Ben has more than twenty years of management and sales experience, with expertise in the planning, strategizing and execution of large-scale, full-cycle solutions. His accomplishments as a successful business owner and leader were solidified in 2015, when Ben was named Entrepreneur of the Year. Ben has a bachelor’s degree of Business Administration from Houston Baptist University. He is on the board of the Hendricks Regional Health Hospital System and a member of the ISO U.S. Technical Advisory Group.